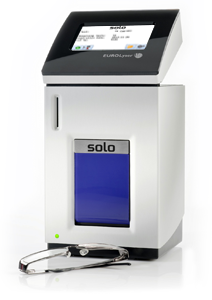 The Eurolyser solo is a flexible, fully automatic instrument for veterinary point-of-care diagnosis offered in single test format. 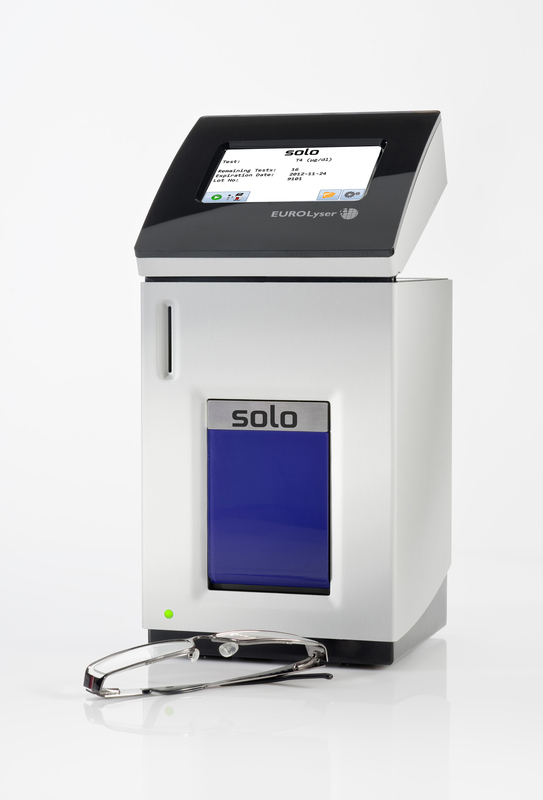 In just a few minutes the analyser automatically provides test results which are comparable to large-scale laboratory systems due to comparable technology. The analyser is suited to perform tests for thyroid and liver diagnostics, the analysis of diabetes and inflammatory status as well as the diagnosis of acute-phase proteins. The handy, portable analyser is a profitable investment for every veterinarian due to its flexibility, on-the-spot in-house test results and continuously growing test portfolio.